I haven't had much time to do my nails these past few days but here are two simple summer looks! 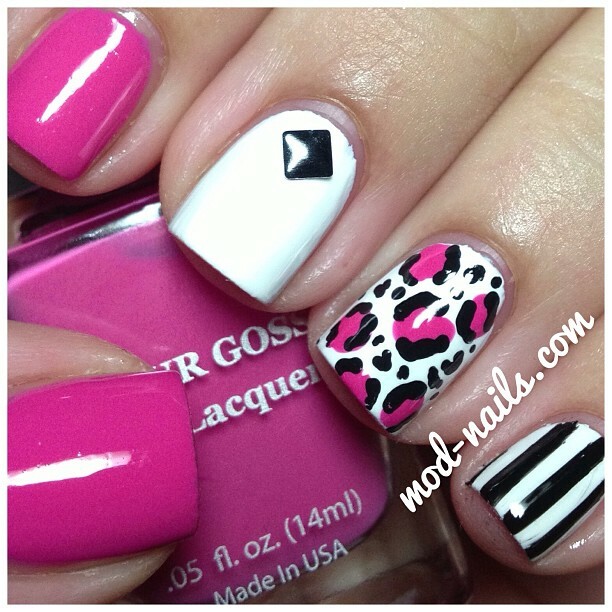 The first look is a leopard/striped mani with my new favorite pink polish from Colour Gossip Nails. 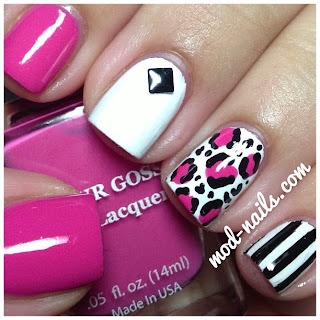 This second look is a ruffian manicure with studs to add some edge to it. Both of these looks are on my previous youtube tutorials which can be found at www.youtube.com/user/modnailss ! I uploaded them a few months ago! Hope everyone is enjoying this hot summer, gotta love 105 degree weather (not). I really love these two looks! The purple ruffian with studs is especially fab! Thank youu!! I can't wait until my nails get longer so it looks better! So simple but both so pretty!